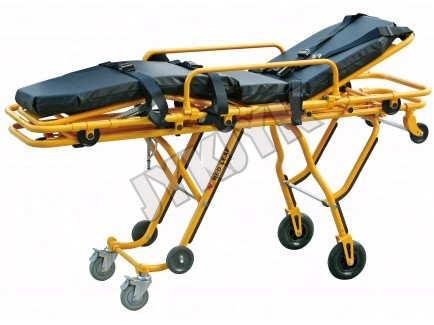 This stretcher has two wheels: big wheel and small wheel, its height can adjust three-step and according to any height of ambulance carriage bottom board. 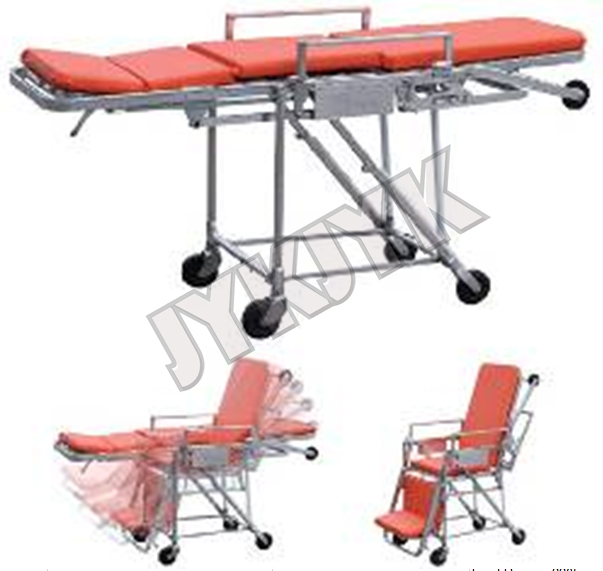 when loading the stretcher up to the ambulance, the heighest height is 68cm, the second height is 65cm, lowest position is. 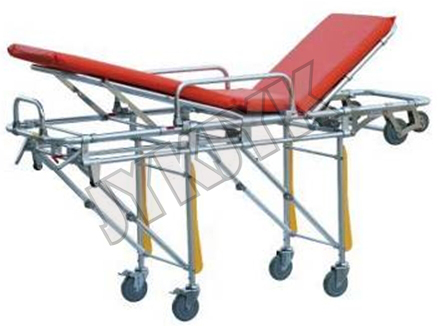 63cm.